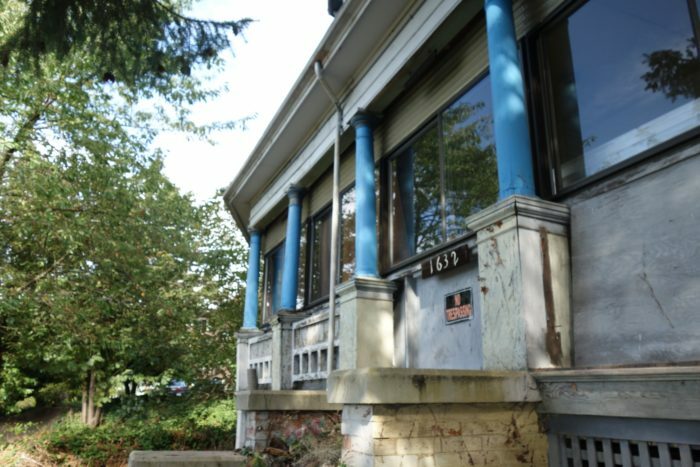 Amazing opportunity to restore this vintage home in the center of Capitol Hill. 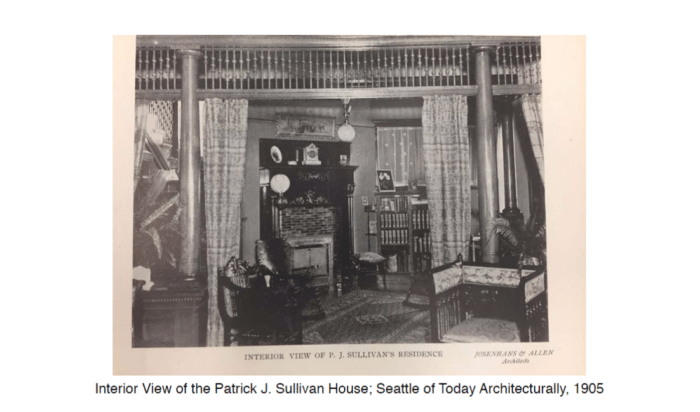 Patrick J.. Sullivan commissioned this home to be built by Josenhans and Allan Architects, and construction was completed in 1898. 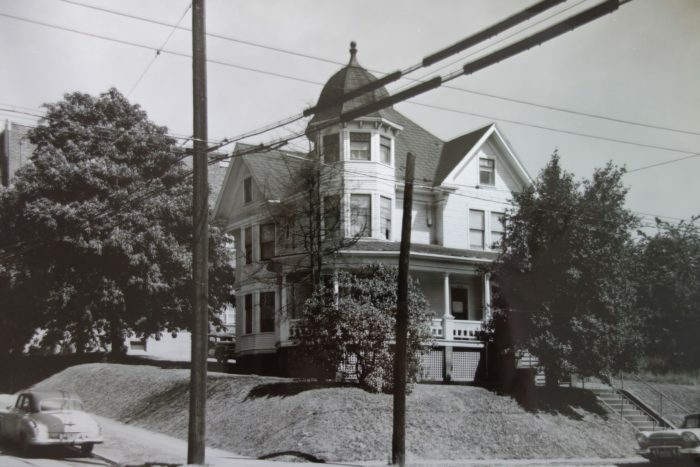 Sullivan and his wife Joanna lived in the home from 1900 to 1923, when they then moved to a nearby apartment on John Street. Patrick J. Sullivan later died on December 12th, 1947. 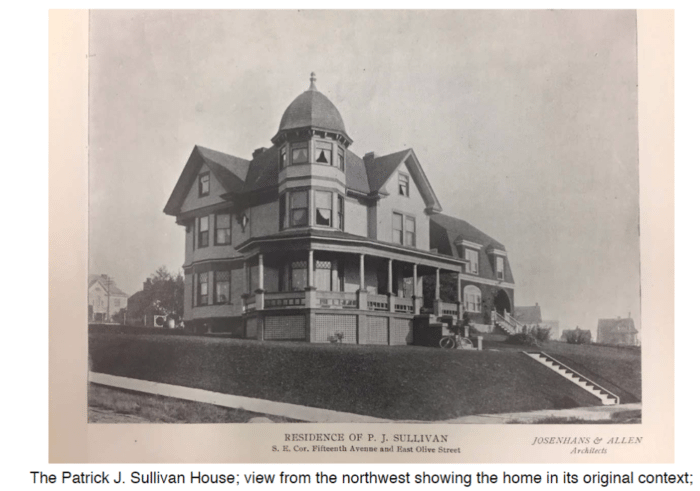 The architects of the J.P. Sullivan House were Timotheus Anton Christof Josenhans and Norris Best Allan of Josenhans and Allan. 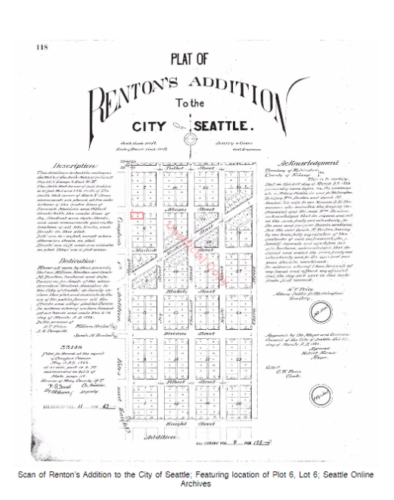 A prominent firm in Seattle at the time, Josenhans and Allan are credited for multiple Seattle landmarks. 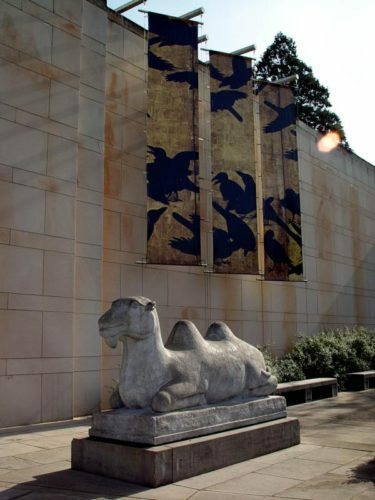 Some notable examples of their work include: the Marion Building at 818 Second Avenue, the Cawsey C.C. House at 325 West Kinnear Place West; as well as Lewis, Clark and Parrington Halls on the UW Campus. 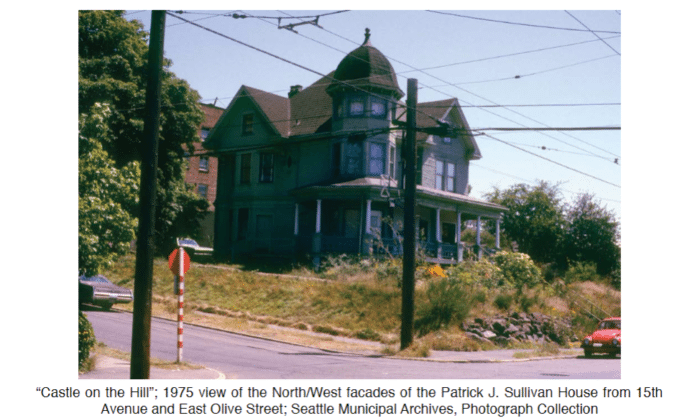 The subject property is located on the South East corner of 15th Avenue and East Olive Way in the heart of Capitol Hill and is in close proximity to a number of designated Seattle Landmarks, including the Hillcrest Apartment Building (1908) and the First Christian Science Church (1914). The surrounding blocks were zoned in 1923 as Lowrise 3 which is reflected in the medium-sized apartment buildings that date from the early 1900’s. 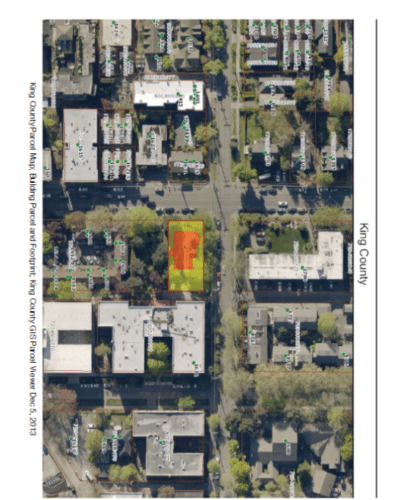 Buildings to the North of the property are comprised of similar mixed-scale apartments and single family residences, while buildings to the South are primarily mixed-use residential. 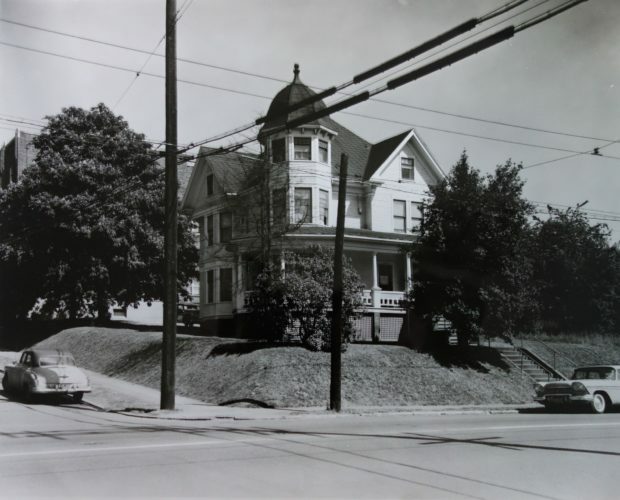 The three-story home is an example of the Queen Anne style done in wood frame construction with a partial basement. The style is most evidently characterized by its steeply pitched roof of prominent shape and irregular shape and prominent front-facing gable. 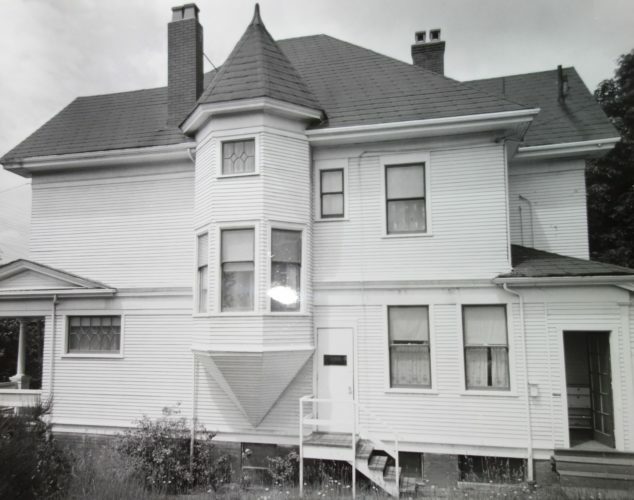 The home also features additional gables facing the North, East and West, all which are decorated with simple bargeboards. The roof itself seems to be composed of simple asphalt shingles. 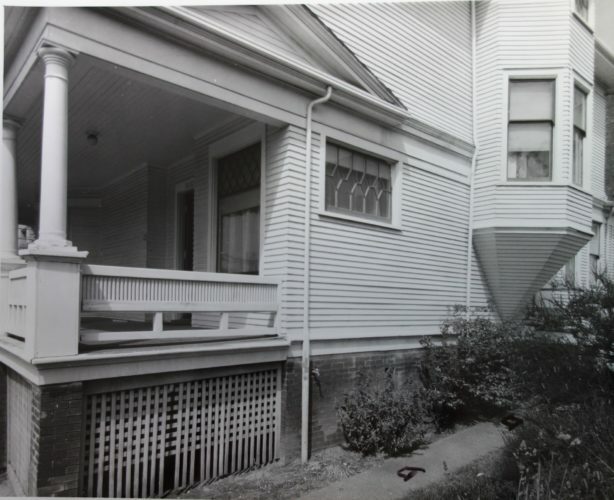 In line with the Queen Anne style the home bears a asymetrical facade with a porch that wraps partially around the North side of the building. The porch is supported by Tuscan order wooden columns that start halfway across the Northern facade and continue to wrap around the West side of the house, ending in a pediment that faces South. The NW and SE corners of the building features two prominent hexagonal turrets, again keeping with the Queen Anne style. The turret to the NW rises to a dome with an estimated eave line 6′ higher than the rest of the building and is capped with a simple finial. The turret to the SE corner is capped with a pyramidal roof reaching up to the same height as the home’s gables. The home is clad in painted horizontal wood siding in most areas and painted shaker-style shingles on its second level. 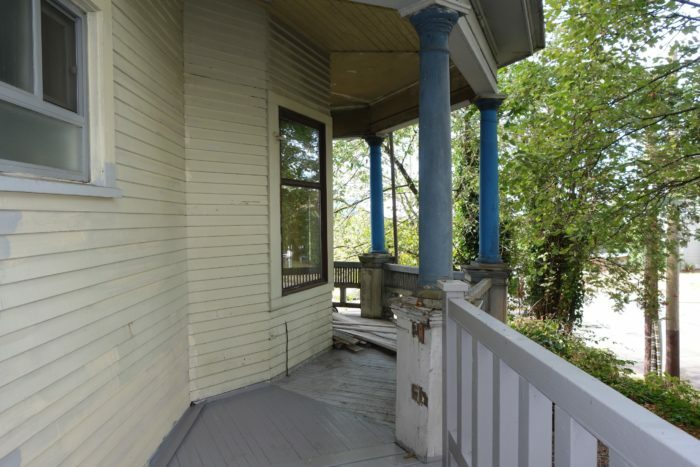 The porch features decorative wood railings between each supporting column. The majority of windows in the home are updated vinyl with the original wood decoration. 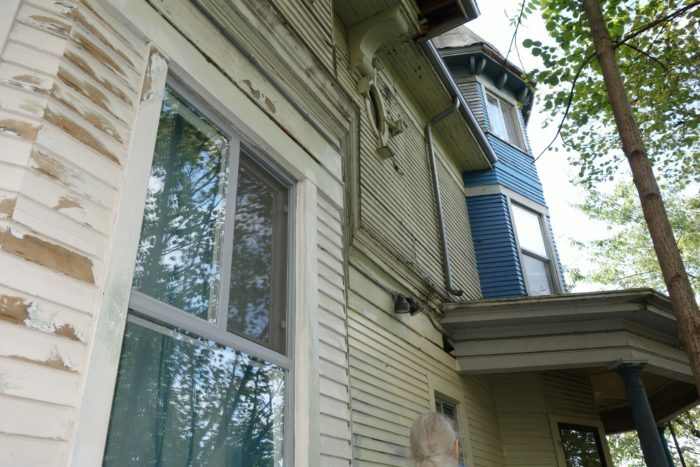 The alterations to the 15th Ave face of the home feature contemporary windows encasing the original porch space. 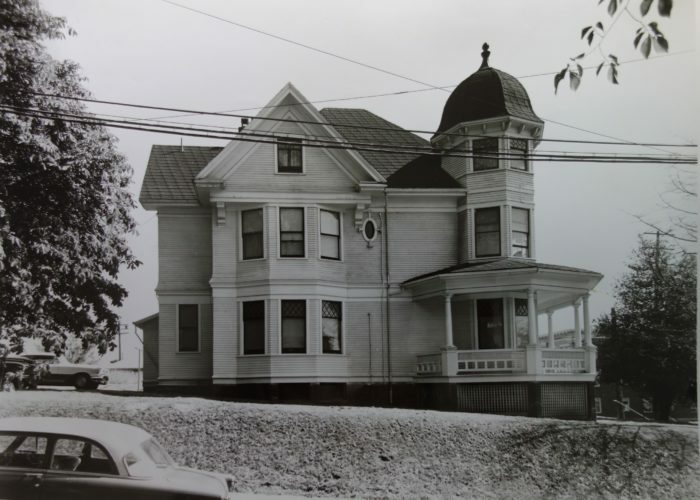 The home was an elegant single family residence until 1949-1950 and was remodeled for Mrs. Ethel Brehmer by the architect Edward K. Mahlum. 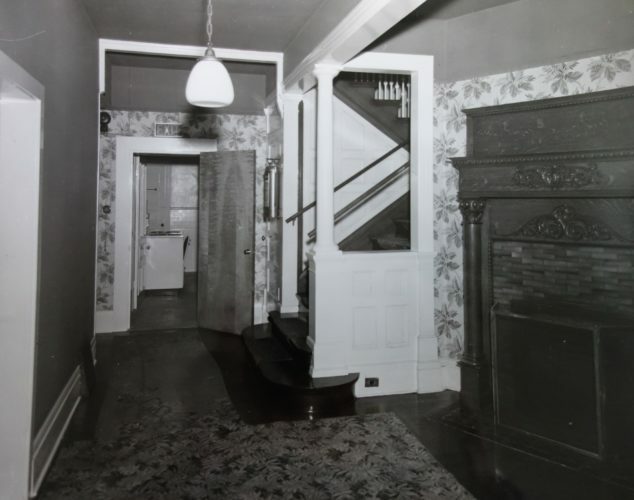 The remodel was described as “Apartment and Housekeeping Rooms”. 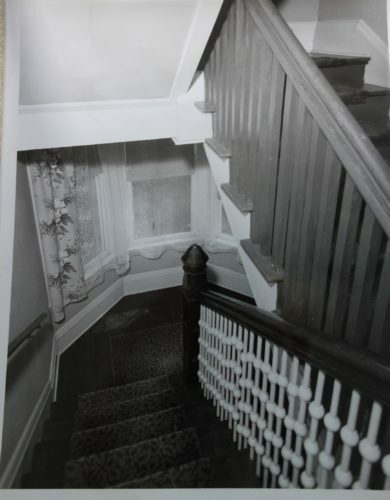 We are lucky that a number of interior photos are available to view, which will aid in restoration of this beautiful home! In 1956, additional permits were sought and the use was described as “1 apartment, 5 housekeeping rooms”. 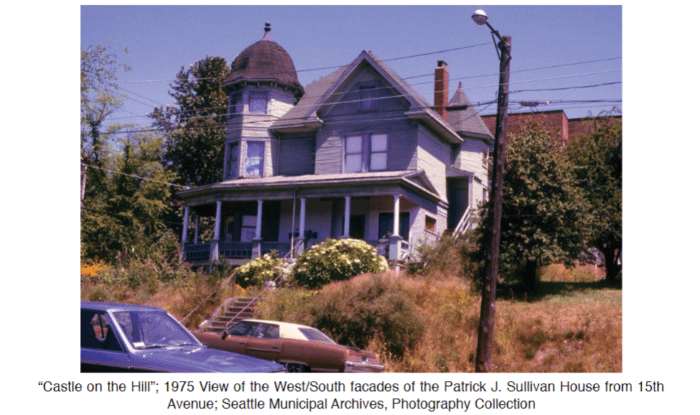 Today, there is an opportunity to renovate this home, bring it into the new millennium and share it with the citizens of Seattle. Diverse Capitol Hill is packed with hip bars, eateries and gay clubs, plus laid-back coffee shops and indie stores. 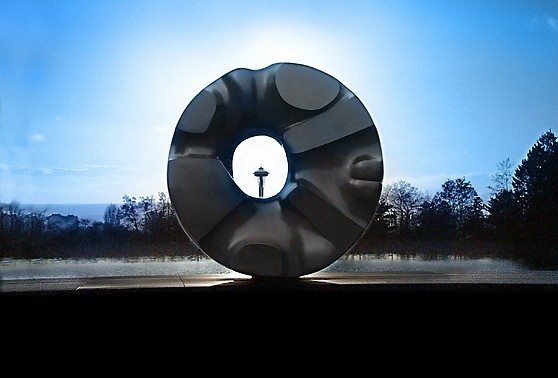 Volunteer Park, atop the hill in a historic mansion district, has walking trails, a plant conservatory, panoramic city views and the art deco Asian Art Museum. It abuts Lake View Cemetery, where the city’s founders (and Bruce Lee) are buried. Kids play in the wading pool at smaller Cal Anderson Park. You will love Jewel Capitol Hill, 917 16th Avenue East, Seattle WA 98112. 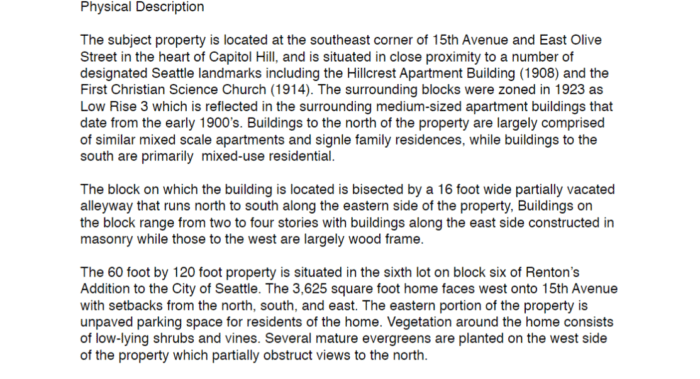 Capitol Hill is a great place to live and always has lots of great homes and condos for sale. 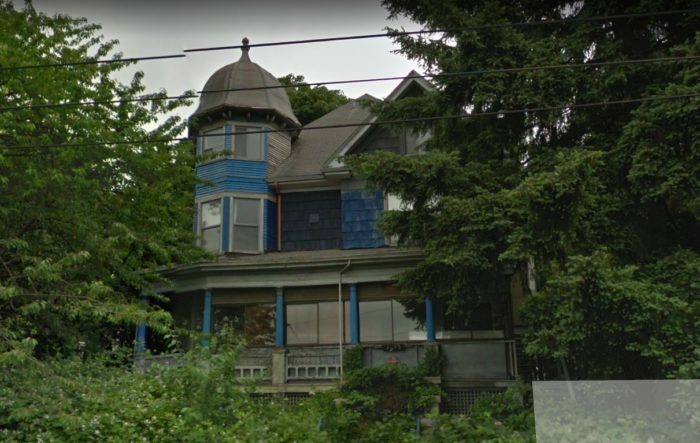 This home is located near Volunteer Park, just a few blocks North of this beautiful home!